I mentioned before that Andrew spent much of Saturday night assembling Perry's new wagon. 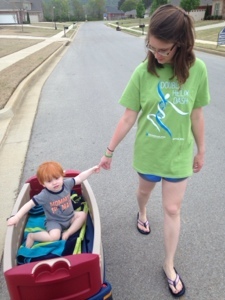 We took it out for a spin around the neighborhood Sunday afternoon. Perry loved his new ride. It can be a wagon or a bench, has two seats with seatbelts that fold up, has two cooler areas, tons of cup holders and most importantly has an attachable umbrella (and can fly and fight crime...ok maybe not ...but it can do a lot). 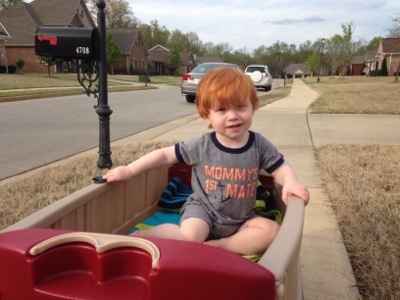 Thanks Pa and Ma Gibson for the super cool wagon! We will get lots and lots of use out of it this spring and summer (and many more to come).